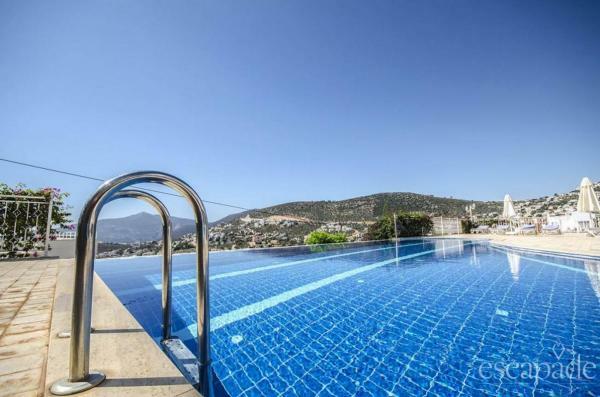 Breathtaking views of Kalkan Bay from the infinity pool to the all levels. This beautiful 4 bedroom ensuite villa is elegantly styled and is the perfect holiday escape. 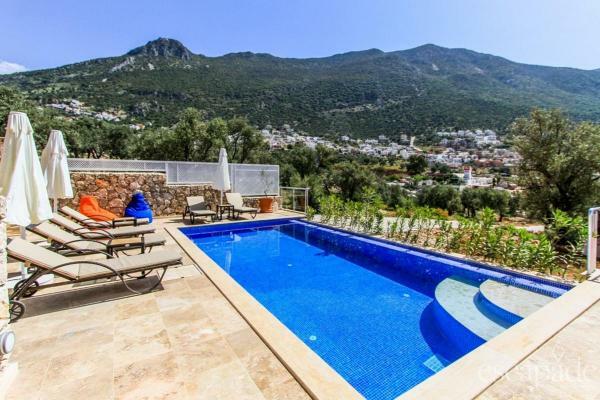 Enjoy Villa sized space and luxury with this 3 bedroom ensuite duplex and private pool, offering striking views of the town, Taurus mountains and Kalkan Bay. Spacious and luxurious 3 bedroom duplex in a quiet central location, boasting a Villa sized large private pool and 2 terrace areas to relax and enjoy. Exceptional architecture boasting uninterrupted views of Kalamar Bay This outstanding 5 bedroom luxurious villa with infinity pool is the perfect holiday escape. Right in the heart of the Old Town, this picturesque luxury town house has fabulous balcony views to enjoy the ambience of the night, and the sun and sea views by day. The perfect escape for couples and small families. Part of an exclusive complex this beautifully designed modern 2 bedroom duplex includes a large balcony and sun terrace to enjoy picturesque views of the sea and harbour. Set in the tranquility and serinity of the mountains enjoy breathtaking views from every level. This 3 bedroom villa offers sheer luxury and peaceful bliss. 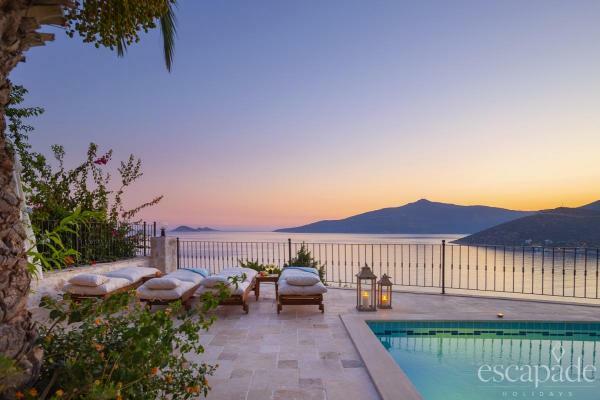 Elegance and beauty with striking uninterrupted views of Kalkan Bay. 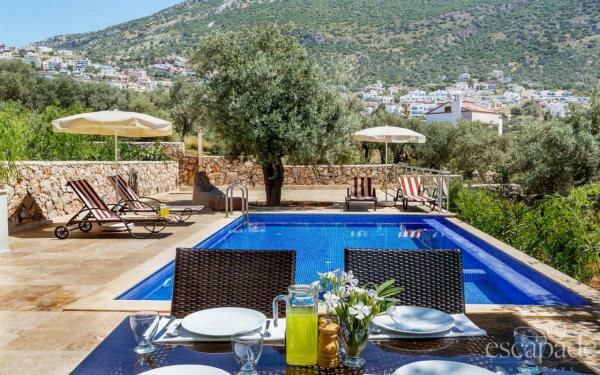 This luxurious and fabulously designed 5 bedroom en-suite villa includes a private pool, spacious balconies on all levels and sun terrace to enjoy the picturesque landscape. 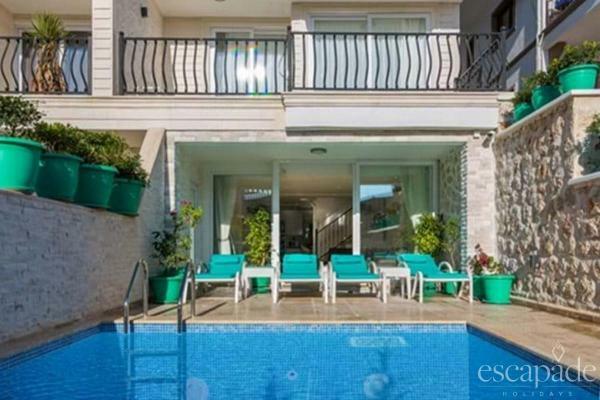 Elegance and beauty with striking uninterrupted views of Kalkan Bay. This luxurious and uniquely designed 3 bedroom en-suite villa includes a fabulous roof terrace, balconies, sun terrace and alfresco dining to relax and enjoy the picturesque landscape. 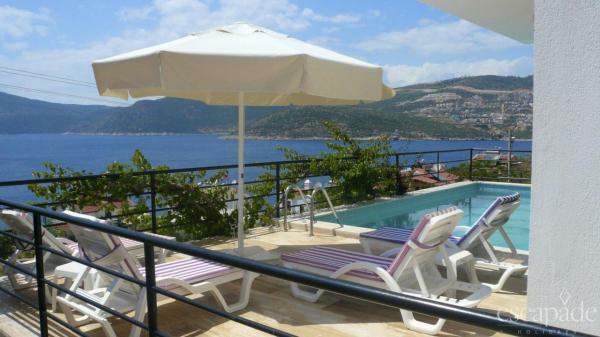 Elegance and beauty with striking views of Kalkan Bay. This luxurious and detached 4 bedroom en-suite villa includes a private pool, spacious balconies on all levels and sun terrace to enjoy the picturesque landscape. 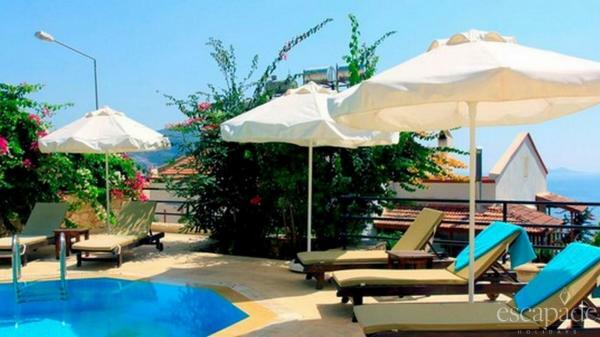 Elegance and beauty with striking uninterrupted views of Kalkan Bay. 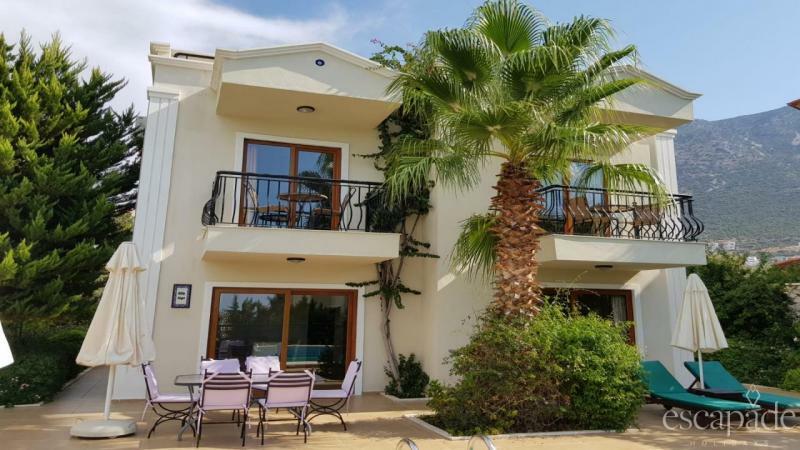 This luxurious and modern 3 bedroom en-suite villa includes a fabulous roof terrace, balconies, sun terrace and alfresco dining to relax and enjoy the picturesque landscape. The perfect getaway or honeymoon retreat. 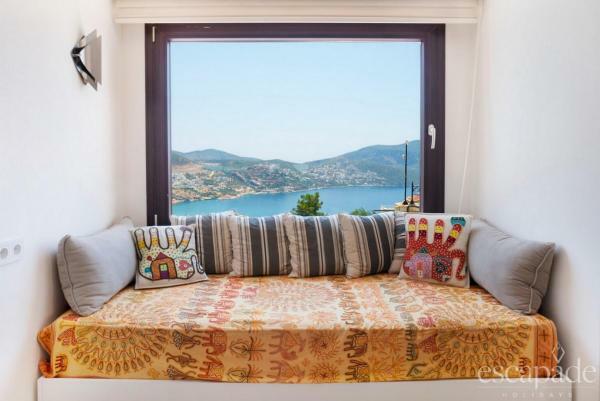 This delightful & cosy 2 bedroom apartment has fabulous views of Kalkan Bay, in a great central location, and only 10 minutes away from the Old town. The ultimate in luxury and architectural design. This magnificent 4 Bedroom en-suite villa is all on one one level! 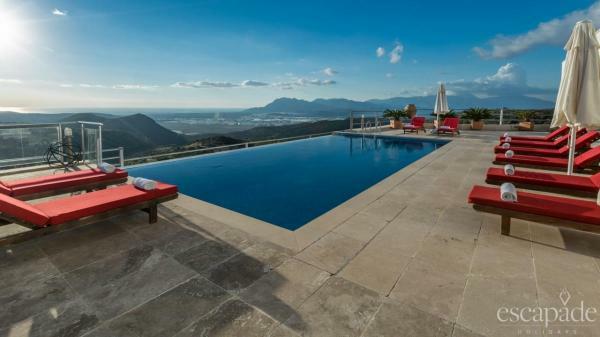 Including a large infinity pool and terrace area to enjoy amazing natural views. Picturesque luxury with this spacious 3 bedroom ensuite duplex. On par in size to most villas, it includes a large private pool and terrace area with fabulous views. 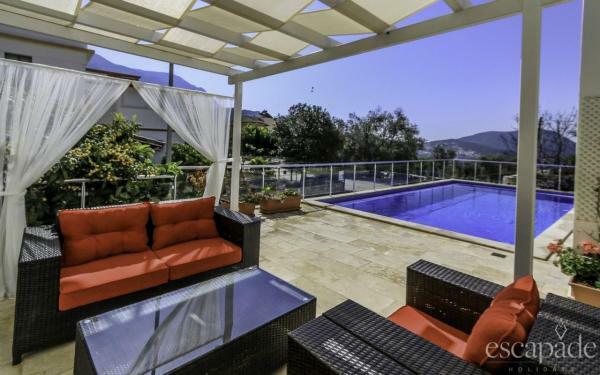 Stunning panoramic views of Kalkan Bay and the Taurus Mountains await at this spacious and luxurious 3 bedroom ensuite duplex with private pool. Situated in a quiet central location, 10 minutes from the Old Town. An architectural feast of design and comfort, the ultimate in luxury. Comprises of 4 en-suite bedrooms and offers its own private jetty and two private pools with unparalleled spectacular sea views. 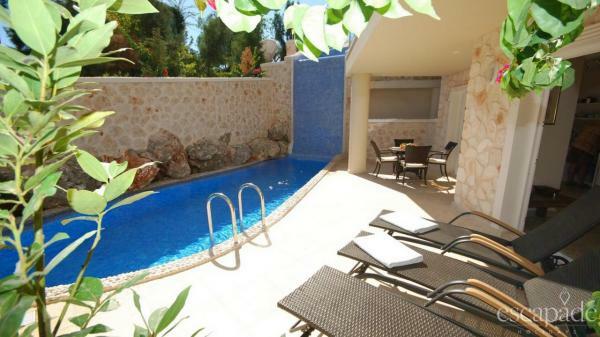 Enjoy beautiful panoramic sea views over Kalkan Bay and the harbour. This 2 bedroom ensuite modern apartment benefits from its central location and is only a 10 minute walk away from the old town! Stunningly stylish and boasting a fabulous sun terrace. 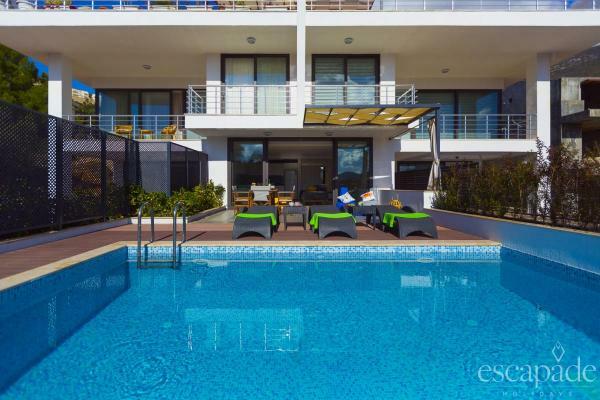 This modern contemporary 2 bedroom ensuite duplex also includes a private outdoor jacuzzi for you to relax and enjoy the views of Kalkan bay and the sea. Exceptional architecture boasting sea views from every room! 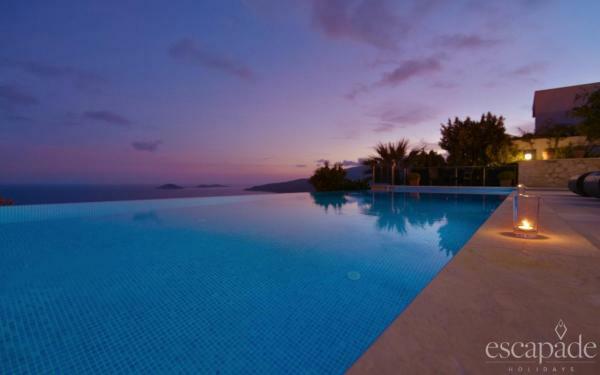 This outstanding 6 bedroom luxurious villa with infinity pool is the perfect holiday escape. Spacious and Elegant apartment as part of an exclusive complex. 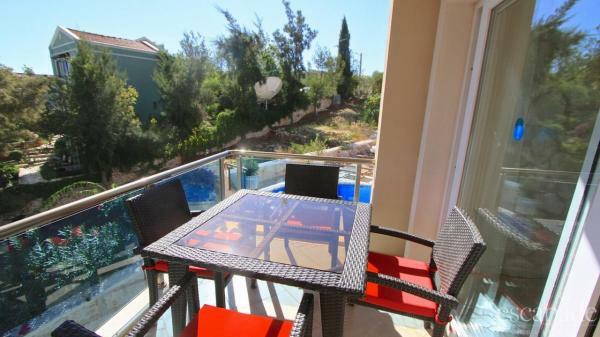 This 3 bedroom duplex with private pool benefits from its central location and is only a flat 10 minute walk to the Old town. Beautifully designed and part of an exclusive development. This luxurious and spacious 3 bedroom duplex includes a large private pool, sun terrace and a secluded garden terrace. The ultimate in style and contemporary design. This stunning 2 bedroom ensuite duplex includes a private pool, terrace and alfresco dining. Perfect for couples and families. Modern & Spacious apartment part of a luxury development. This 2 bedroom en-suite duplex includes a large private pool and terrace area and secluded garden terrace. Perfect for couples or familes to relax. 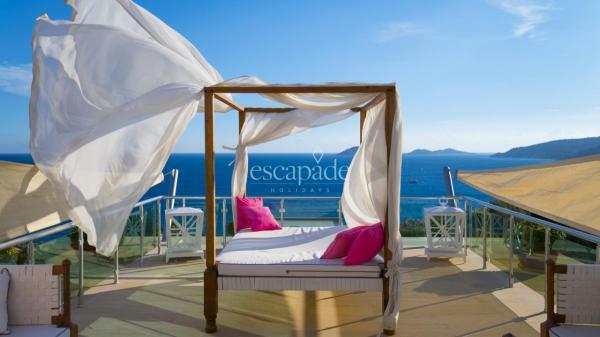 Bask in the sun & enjoy spectacular views from the elevated sun terrace & balcony. This beautiful contemporary 3 bedroom duplex includes a large private pool, spacious pool terrace & alfresco dining. 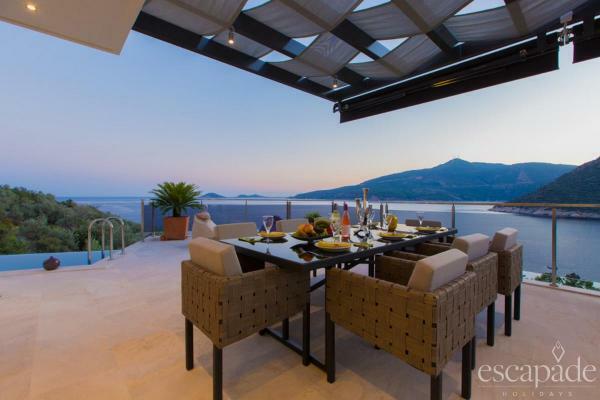 Stunning elevated and uninterrupted views overlooking Kalkan Bay. This beautiful traditional 3 bedroom villa includes a private pool and sun deck and rooftop terrace to enjoy and bask in the sun. The Likya View experience, offering fabulous sea views, this modern & spacious 3 bedroom villa is the perfect family getaway for peace & tranquilıty. This luxurious and traditional styled villa offers exquisite sea views from its large balcony and roof top terrace and is the perfect getaway for a families and couples. Deep in the stunning backdrop of Uzumlu, this fantastic 7 bedroom luxury villa with large terrace and infinity pool boasts breathtaking natural views.